When getting into cigars there are many words that are used by aficionados that may not be familiar to the newcomers. To help you better understand cigars we have prepared a basic glossary of cigar terms. Aging takes many forms in the cigar industry. Aging cigar tobacco gives it more nuance, softens rough edges, and generally improves the product. This process can be as short as a month or so or more than one year. Not only does this help the component tobaccos marry, but it can make the cigars more pleasant to smoke. .
Also referred to as Vitola, this is the Cuban term for cigar band. A ring of paper wrapped around the top third of most cigars that contains information about the cigar, typically the name of the brand, country of origin, and indication that the cigar is hand-rolled. A tobacco beetle is the biggest enemy of cigar smokers. The beetles eat cigar tobacco, and although they are very small they can ruin a cigar very easily. Beetles begin as eggs, and when the temperature inside a humidor rises above 18 degrees, the eggs can hatch and form beetles, which will open perfectly round wholes in the cigars. The tobacco leaf that holds together the filler tobacco. The combination of a binder and filler tobacco is known as the the bunch. With the wrapper and filler, the binder is one of three main components in a handmade cigar. Usually you can ascertain the age of a cigar and factory where it was made by its box codes. Every Cuban cigar produced has a code at the bottom indicating the date of the box and the factory code. A form of cigar packaging in wooden boxes (typically made of Spanish cedar) with sliding tops, designed to hold 25 or 50 cigars, often wrapped with a ribbon. This type of packaging is also known as a slide-lid box. These boxes are often made of Spanish cedar. Cabinets are often much taller than dress or semi-dress boxes, and the cigars are often packed with greater amounts of air between each cigar. This is why at Montefortuna cigars we recommend the cabinet formats as the best format to purchase if you would wish to further age the cigars. Capote is a term for binder, the portion of a tobacco leaf used to hold together the blend of filler leaves called the bunch. Formerly the worldwide distribution company for Cuban cigars (now done by Habanos S.A.). Spanish for “snake.” Culebras are cigars made of three panetelas braided and banded together. One of the most famous examples of this cigar is the Partagas Culebras. The individual tobacco leaves used in the body of the cigar. The filler leaves are held together by the bunch. A fine cigar usually contains between two and five different types of filler tobacco. In Spanish, the term is known as “tripa”. A Spanish term for a cigar made entirely of Cuban tobacco. The worldwide distribution company for Cuban cigars. A cigar store franchise specializing in Cuban cigars. Filler tobacco consisting of whole leaves, which run the length of the body of the cigar, rather than chopped pieces (short filler) found in machine-made cigars. 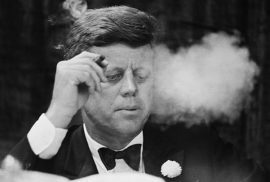 A program officially begun in Cuba in 2005 to create small-batch cigars for sale only in specific geographic areas. 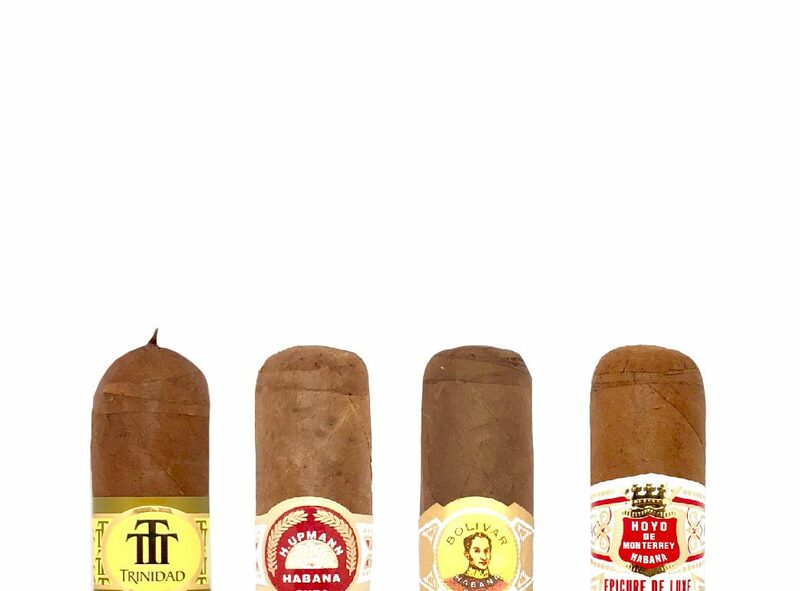 These cigars, known as regional editions, are sold with two bands, the lower one bearing the word “Exclusivo,” or exclusive, followed by the country or region for which the cigar was made. A Spanish term for a cigar-maker. Loosely translates to twister. The area in western Cuba that many believe produces the best cigar tobacco in the world. Let us know in the comments below if you think we missed any!